Code Européen des Voies de Navigation Intérieure (CEVNI) is the code governing navigation on the interconnected European inland waterways. Signs, rules and procedures for navigating many of the European inland waterways are all included within the CEVNI and in the same way as pleasure craft on coastal waters are expected to abide by the COLREGS, pleasure craft on many of the inland waterways of Europe, which in places are heavily utilised by commercial traffic, are expected to know the CEVNI as this is the basis of many of the various countries’ own regulations. Resolution 40 requires that candidates applying for an ICC with the inland category validated have sufficient knowledge of the traffic regulations applicable on inland waters, in particular the CEVNI. 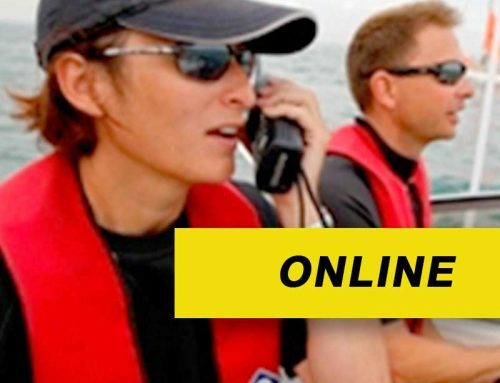 The CEVNI is not covered in any of the RYA’s courses, even those specific to inland waterways, as these regulations are not in use in the UK. It is therefore necessary to have a separate theory test on the CEVNI regulations. There is however no separate CEVNI certificate or CEVNI endorsement. Passing the ICC CEVNI test simply allows the Inland category on your ICC to be validated, thereby indicating that you have demonstrated knowledge of the traffic regulations applicable on inland waters, in particular the CEVNI, as required by the Resolution. All candidates requiring the inland category validated must pass the ICC CEVNI test irrespective of whether the regulations are in force in the country or on the river, lake or canal where they intend to go boating. Once you have booked and paid for the test you will be contacted by email with your login information. This is not an automatic process and will be within 24 hours (Mon -Fri) of your booking. A PC, Mac or tablet with internet access. You can book by selecting from the dates available. Just register and book your course. Then... Pay the exam fee. Then... fill in the booking form.